This year, our history and English teachers are collaborating to assist our 10th and 11th grade students in researching various topics in time periods throughout American history. Instead of just writing a traditional research paper, however, they are going to be presenting their theses in a visual format. Our student council will sponsor the second Flomaton High School History Fair. While the major thrust of the history fair is the student work, we have also invited members of our community to come set up historical displays. Several of our local historical societies have agreed to set up booths with local artifacts. We've invited numerous museums, historical parks, and other educational organizations. 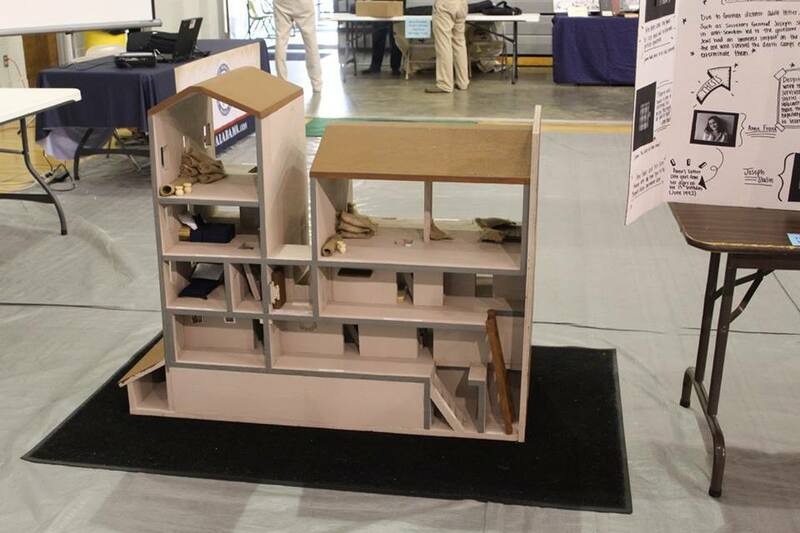 They are going to setup displays with local history, photographs, models, artifacts, etc. We have an extensive list of participants ranging from the USS Alabama to Fort Morgan to our own local historical societies. We will also be hosting a non-competitive antique car show for the students to see how automobiles have changed over time. 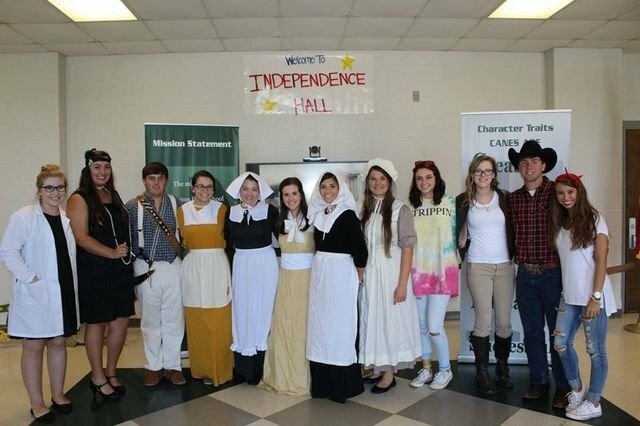 Volunteer members of the FHS Student Council will dress in historical costume to serve as tour guides. This will be a rewarding experience for our students and our community. Flomaton Elementary School will also be hosting a wax museum. Students in the sixth grade will research various historical figures and create a “wax figure” for the museum. They present on a historical character with dress, audio and poster or backdrop. This year, the wax museum will be held on the same day as the FHS History Fair to further promote the events. The wax museum will be located in the old gymnasium from 8:00 to 12:00. The date is Friday, April 27, 2018, and the time is set from 8am-2pm. 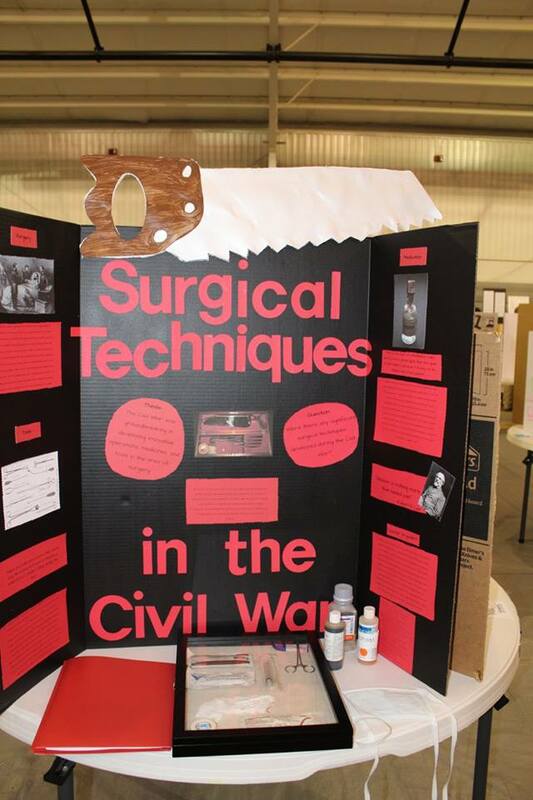 The general public is invited to tour the history fair. Flomaton High School is located at 21200 Highway 31 in Flomaton, Alabama. Our school website is flomatonhs.com. We've also created a Facebook page for the history fair. Check it out by searching FHS History Fair (@fhshistoryfair). For more information, please email Brett Chancery at brett.chancery@escoschools.net or call the school at 251-296-2627.